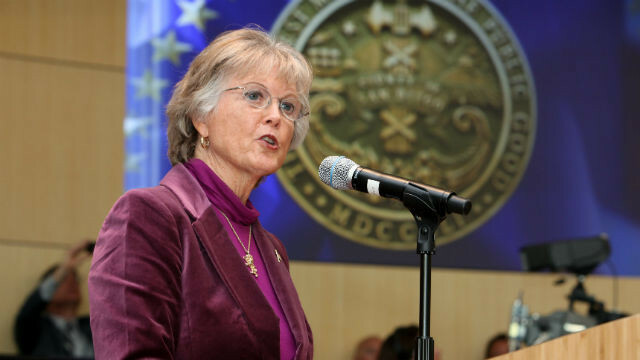 A major initiative to create more affordable housing in the San Diego region was announced Monday by county Supervisors Dianne Jacob and Ron Roberts. Their plan would establish a $25 million affordable housing investment pool, transfer $500,000 from Roberts’ Neighborhood Reinvestment account to the county’s Health and Human Services Agency to underwrite pre-development and planning activities, and identify 11 county-owned properties for residential development. At a news conference, they said their aim is to spur the building, renovation and acquisition of affordable housing and stem the growing tide of homelessness. “Clearly, what we are doing now is not keeping up with the numbers of San Diegans who are being shut out of the housing market and either pushed into homelessness or unable to climb out with existing resources,” said Roberts, also chairman of the Regional Task Force on The Homeless. “I’m looking to jump-start investment and creativity, while also encouraging elected officials in other areas of the county to look for government resources that can be used for affordable housing,” he said. Jacob said the $25 million in unallocated reserves would provide a one- time investment to address affordable housing issues countywide. The funds would be managed by nonprofit and private sector partners, the supervisors said. The plan will go before the Board of Supervisors next week.